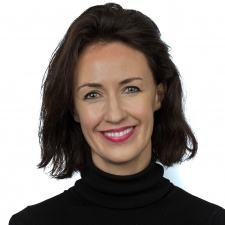 Influencer marketing platform Billion Dollar Boy has appointed Kathy Dover as its first director of client services. Dover is a former client of Maybelline and Garnier and Head of Account Management at VCCP Blue. Her addition to the company makes her the first-ever Director of Client services for Billion Dollar Boy. In her new role, Dover will work with senior management team members to support the growth plan of Billion Dollar Boy with her fifteen years of experience. Her responsibilities will include coordinating account management teams, developing relationships with clients and making sure the company is delivering quality service to its clients. “Influencer Marketing is growing so quickly there is a massive opportunity now for us to really raise the standard of measurement and effectiveness and cement its position as an integral part of the marketing mix… I’m excited to be involved in that and in driving the team’s impressive growth strategy.” Dover said in a statement. Before joining up with Billion Dollar boy, Kathy led the integrated marketing communications teams at Maybelline and Garnier UK. Before that she also worked as Head of Brand for website LastMinute.com. While working agency-side, Kathy also led the account management team at VCCP Blue, where she was integral in developing the original “Compare The Meerkat” campaign for website CompareTheMarket.com.